In November 1914 Sax Rohmer published a story called “The Crouching Man” in The Story-Teller: it noted that “All fees accruing to the author will be devoted to the funds established for the assistance of those who must suffer from the Great War” (Van Ash, 101). But it was not until 1915 (late in 1915?) that he took more direct action to join in the war effort. He applied for a commission, joined the Artists’ Rifles, and was sent for training at Gidea Park in Essex. 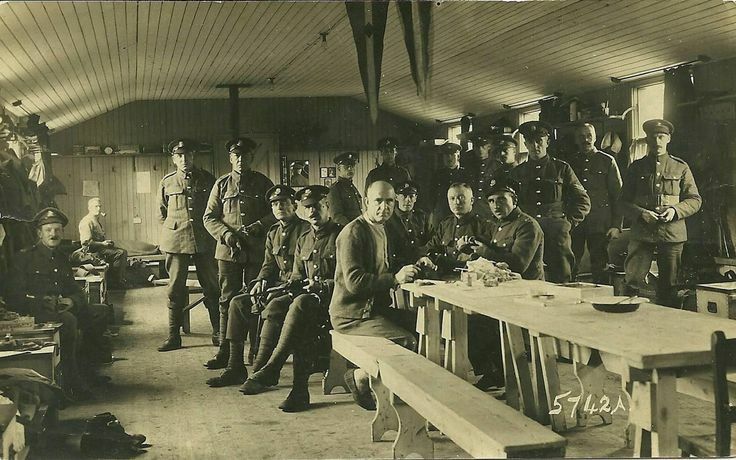 Like the other members of the Artists’ Rifles, he was able to get extended weekends at home every other week, and in alternate weeks wives and girlfriends were allowed to meet up near the camp.. It was on one of those weekends, according to Van Ash, that both Sax and his wife Elizabeth witnessed the downing of a Zeppelin on 2 September 1916. Rohmer was said to be sickened by the way that other witnesses cheered; all he could think of was the fact that the German airmen were being roasted alive. Rohmer was said at this point to have thought what the great intellect of Dr Fu Manchu might do to end the war. He produced fourteen separate plans (which included details of how to assassinate Ludendorf and Hindenburg), and tried to persuade his friend T.P. O’Connor, an Irish MP (and editor of the Journal of the Great War) to introduce him to someone important in the War Office so that he could present these plans. O’Connor failed him, but Rohmer did manage on his own initiative to wangle a meeting with Ian Macpherson, who was what Van Ash called the Parliamentary Secretary for War (correctly “Under-Secretary of State for War”), and he handed over his “Fourteen Point Plan of Intensive Warfare”. Neither Ludendorf note Hindenburg were assassinated, but Rohmer was subsequently invited to work in the department known as M.I. 7b, which was involved with propaganda. According to Van Ash, Rohmer worked here both before and after being discharged from the army for health reasons (he had the recurrence of “a lung weakness which had nearly killed him in infancy”: Van Ash 110). I know of nowhere other than Cay Van Ash and Elizabeth Sax Rohmer’s Master of Villainy: A Biography of Sax Rohmer (Bowling Green OH: Bowling Green Univesity Popular Press, 1972) where one can find details of Rohmer’s war service.